Throw in Anthony Pettis’ name for the Conor McGregor sweepstakes. Last night (March 24), Pettis made the move up to welterweight to take on Stephen Thompson. The bout headlined UFC Nashville. In the second round, Pettis nailed “Wonderboy” with a superman punch that put him to sleep. Pettis went on to note that his ideal return period is in July for “International Fight Week.” McGregor is in talks to compete that month. 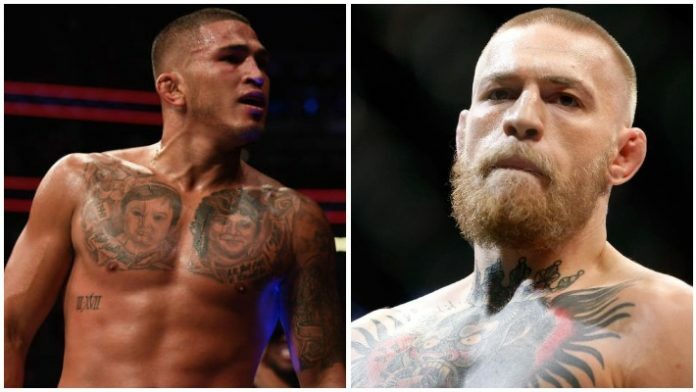 Does Anthony Pettis vs. Conor McGregor hold your interest?